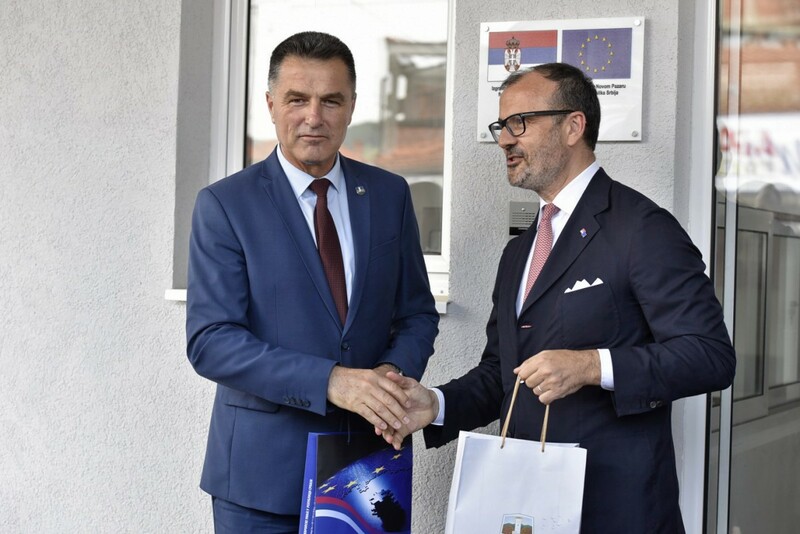 The Head of the European Union (EU) Delegation, Ambassador Sem Fabrizi, began his two-day visit to South West Serbia in Novi Pazar by meeting Mayor Nihat Biševac and speaking about the vision of the City regarding further development and cooperation with the European Union. According to the EU Ambassador, apart from the negotiation process on Serbia’s accession to the EU, specific examples of the EU support to the development of the country are also important. “The project of constructing the new Emergency Ward building is the result of good cooperation between local self-governments, central authorities and the EU. It will serve the citizens of Novi Pazar and the surrounding places, therefore, we are glad we have ensured the realisation of this project”, said the Head of the EU Delegation, Sem Fabrizi, during his visit to the newly constructed building, for which the EU allocated 680,000 Euros. Ambassador Fabrizi emphasized that the EU remained dedicated to the development of Novi Pazar and encouraged the representatives of local self-government to use the opportunities provided by the new EU programme for local development – EU PRO, aimed at the economic and social development of 99 cities and municipalities in Serbia. 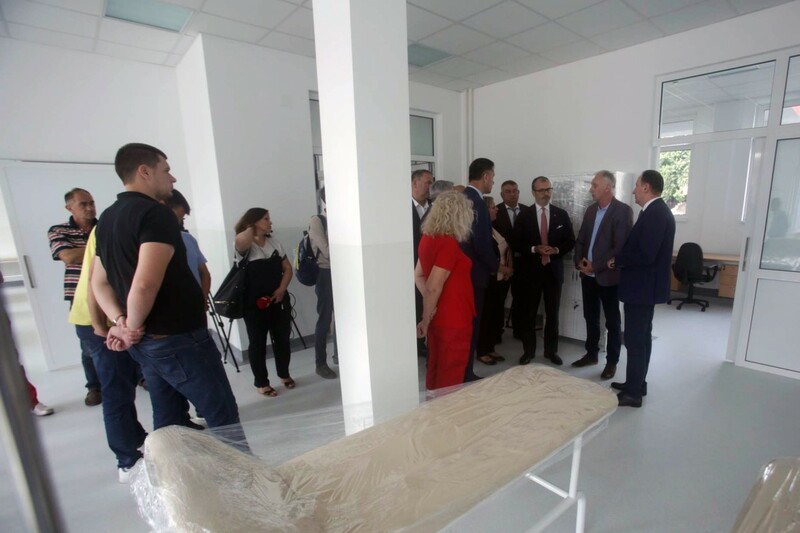 “By constructing the new Emergency Ward building, Novi Pazar has proved to be a reliable partner of the EU, who in the past few years have invested millions of Euros in projects which have significantly improved the quality of life for New Pazar citizens”, Mayor Nihat Biševac said adding the new Emergency Ward would substantially improve the quality of medical services for citizens as well as the working conditions for the medical staff. In Novi Pazar, the Head of the EU Delegation, Sem Fabrizi, also visited young entrepreneur Mirza Aličković, one of 22 young people who, with the support of the EU and the Government of Switzerland, received equipment worth 185,000 Euros and established their own enterprises. 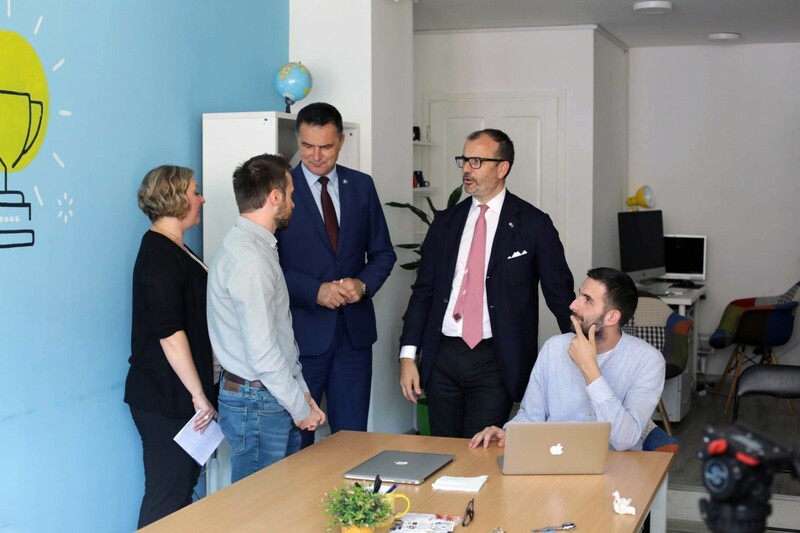 “With the support of the European Union in the amount of 10,000 Euros I opened my own enterprise engaged in development of web sites and applications, where I also employed two fellow citizens”, Mirza Aličković said. “Both Serbia and Europe need young, intelligent and courageous people who will create economic growth and ensure the development of their own enterprises, as well as their communities”, Ambassador Fabrizi said, pointing out that information technologies were an export branch of Serbia and that it was important that Novi Pazar is part of that driving force. Moreover, Ambassador Fabrizi invited entrepreneurs from Novi Pazar and other places to use the opportunity to apply for the EU PRO programme public call for support to micro and small enterprises, for which the EU has allocated 4.5 million Euros. 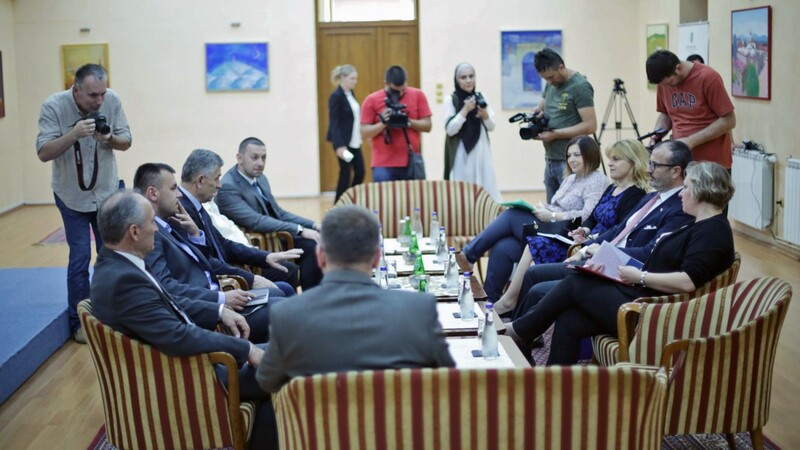 In Novi Pazar, the Head of the EU Delegation had a meeting with the President of Bosniak National Council Sulejman Ugljanin, Mufti Mevlud-ef Dudić, President of the Islamic Community Mesihat in Serbia and the Grand Mufti of the Islamic Community of Serbia Sead Nasufović, as well as the representatives of the civil society organisations and the media. At 19:00 Ambassador Fabrizi will attend the ceremony of opening the Festival of European Film, in Novi Pazar, which is organised by the Delegation of the European Union and EU Info Centre in cooperation with the European Union National Institutes for Culture (EUNIC). The Head of the EU Delegation will spend the second day of his visit in Sjenica. The activities of EU PRO, the Programme contributing to the more balanced socio-economic development of Serbia, are supported by the European Union with a total of 25 million EUR. The Programme is aimed at contributing to increased competitiveness of micro and small enterprises, an improved business environment and enhanced social cohesion in 99 local self-government units in two regions: Šumadija and Western Serbia and Southern and Eastern Serbia. Field activities are performed by the United Nations Office for Project Services (UNOPS).